Wildcard Distribution announced today that the Peter Coonan/Killian Scott starring Get Up & Go will be released in Irish cinemas on Friday 1st of May.Written and directed by Brendan Grant, Get Up & Go sees the Love/Hate actors reunite for a slacker comedy which chronicles a hectic 24 hours in the life of would-be comedian Coilin (Scott) and frustrated musician Alex (Coonan). When Alex's girlfriend tells him she's pregnant, he refuses to allow her to derail his long-held plan to escape to London. Meanwhile the hapless Coilin is striking out on stage and off, as he attempts to get his faltering comedy career off the ground and win the heart of his dream girl. With time ticking down to Alex's departure, the mismatched pair will be forced to confront the reality of their childhood dreams of artistic greatness while their lifelong friendship is tested to the limit. With a soundtrack that features some of Ireland's foremost musicians including Adrian Crowley, The Villagers, and Jape, and cameos from many of the leading lights of Dublin's alternative scene (David Kitt, Mik Pyro) Get Up & Gogives on-screen expression to the hotbed of musical talent that exists in the capital. 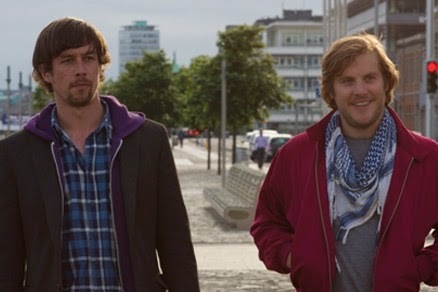 Peter Coonan, as wannabe rock star Alex, also gets to demonstrate his musical chops in the film. 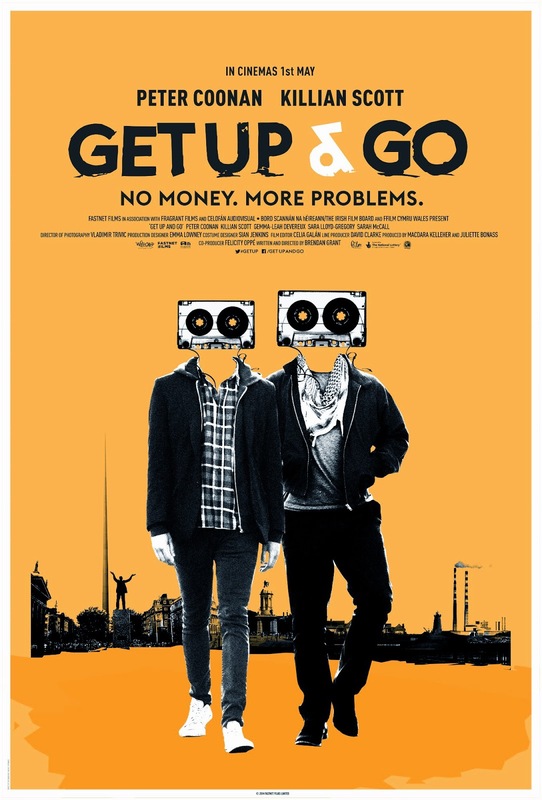 Speaking about the announcement, director Brendan Grant said: "I'm delighted that cinema audiences across Ireland will get to enjoy the fruit of so many peoples' hard work and talent this May, particularly in the city that inspired Get Up & Go and which is so central to the story. It was our aim to capture a particular moment in these characters' lives with humour and honesty and we hope that people enjoy and respond to it as much as we enjoyed making it." The official poster for the film, designed by Annie Atkins (part of the Oscar-winning production design team on Wes Anderson's The Grand Budapest Hotel) was also revealed.